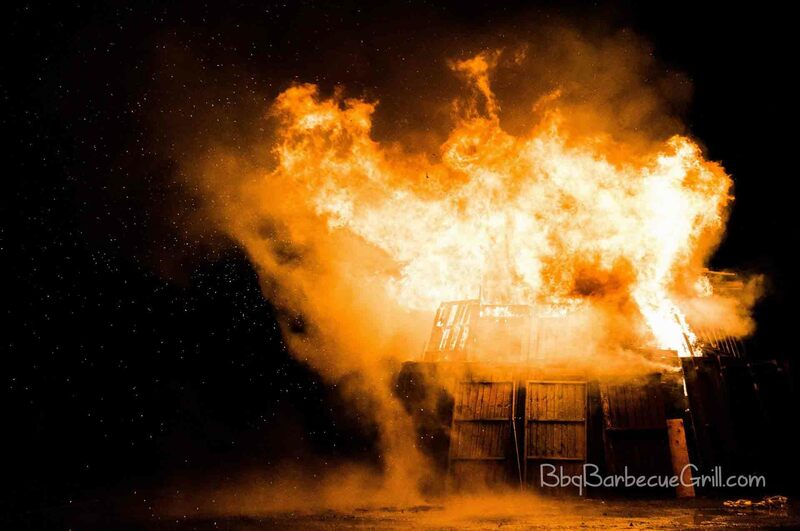 Home » Other » Barbecuing Tips » Grilling in Garage with Door Open: Is it Safe? Grilling in Garage with Door Open: Is it Safe? Grilling is a fun pastime, which involves one of my favorite things: delicious food. But what about when you’re in inclement weather? Is it safe to grill indoors or with the garage door open? What sort of precautions should you take? Never use a propane grill or charcoal grill indoors. While it may be tempting, and seem safe because you have a lid, indoor fires often break out because of these misconceptions. Grilling indoors always sounds like a good idea, especially in the cold, but you simply cannot use ignitable fuels inside your home. A wood or charcoal grill indoors can kill you silently due to the carbon monoxide risk – carbon monoxide has no scent and can spread through vents. There are a few gas grills that are built to be used indoors and can hook up to your natural gas line, but please don’t being a grill attached to a propane tank indoors unless the tank is detached and you’re storing the tanks itself outdoors. Propane grills are similarly dangerous – it’s not even safe to store a propane tank indoors due to the fact that if it leaks, it can cause an explosion. All tanks should be stored in a safe location and checked regularly for leaks that can pool on the ground next to them. Don’t put any propane grill near a car or any motors. 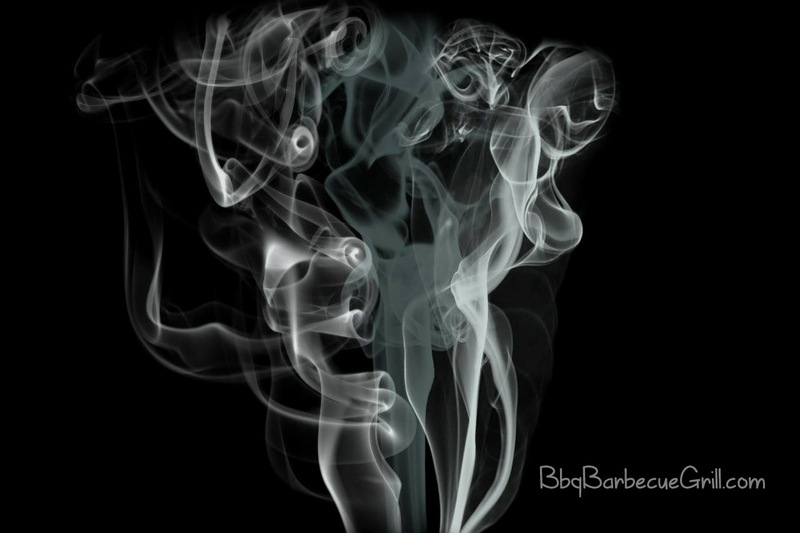 There are smokers that cook barbecue that use hybrid heat sources, but, again, you don’t want to have smoke throughout your home. Electric grills can be the exception to these safety rules, but you will still need to keep an eye on them because any appliance can malfunction and cause a safety hazard. 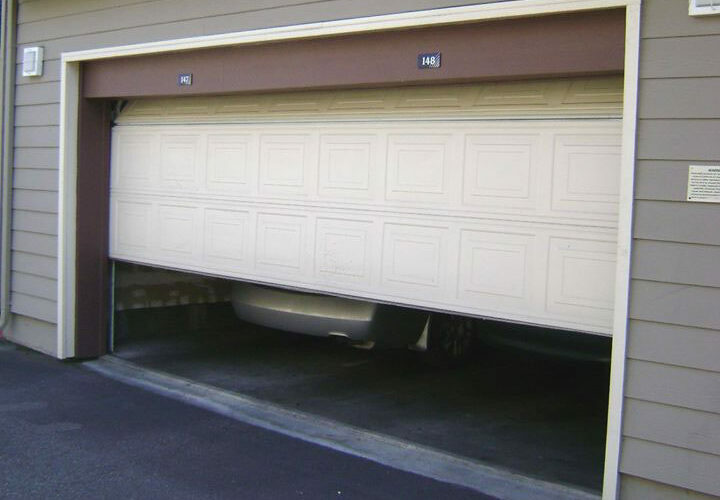 Can you use a grill safely in your garage? It depends on the grill. The only grills that are safe in a garage are grills that are considered safe for indoor use. Any outdoors grill you purchase will come with its own warnings – heed them. These warnings are in place because it’s a danger to your life if you don’t. Smokers, charcoal grills, and propane grills all contain ignitable fuel sources. Some people will think that having the garage door open is a good way to grill. It’s not! 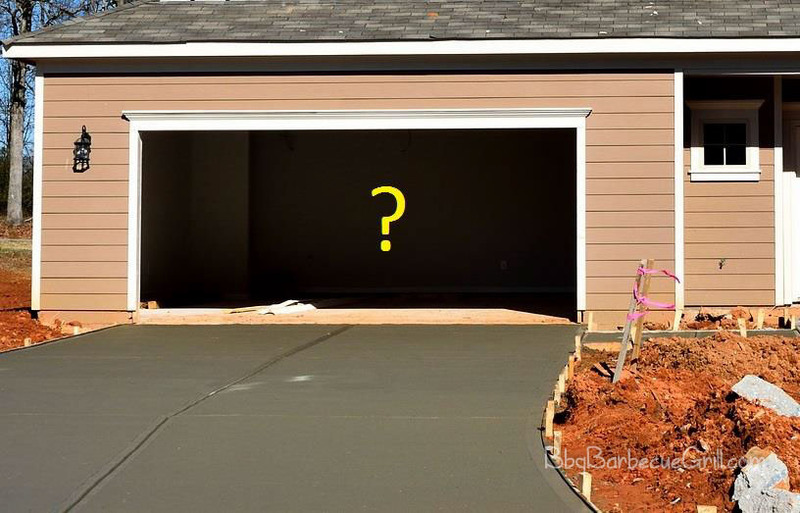 Think about what you keep in your garage – are there newspapers? Tires? Glues and other DIY tools? These are all a possible hazard. Aside from that, your garage is still your home. Vapors from CO2 can easily make their way into you home via vents or under doors. Grilling in the garage is especially dangerous if there are children who have access to it. Not only can they inhale the smoke, they also may try to “play” with it. Because all of these methods are dangerous to your household, it makes no sense to use them in your garage, which is a part of your home and has flammable items such as motor oil or tires. Even without any obvious flammable items in your garage, the smoke and fuel themselves can be a very dangerous hazard. Propane stoves are the only way to grill safely with a propane burner indoors, but you can also buy some pans that will fit the top of a gas stove to emulate an indoor gas grill. There are basically two types of electric grills that are actually built for use indoor — the open grill, and the folding contact grill. The open grill is modeled after the normal, outdoor charcoal grill in many cases, but it’s easier to clean up and uses electricity as a source. The contact grill open like a clamshell, and is typically the same model made famous by George Foreman. Either of these grills are good options for grilling indoors. Not only can you use them in your garage, you can also use them in your kitchen as well. These electric appliances have their own heating elements and mimic cooking like grills, but you usually don’t even need to flip them unless you want to. These also grill so much faster than the other grills – just a few minutes to heat up, and about 10 minutes for burgers or a cut of meat or fish. Not all electric grills are built for indoor use. If you purchase a smoker, for example, you shouldn’t even use it in your garage due to the carbon monoxide danger. Be aware that smokers literally produce a large amount of smoke and carbon monoxide. Exposure to this can kill. This makes them only appropriate to use in an open space where they can empty their carbon monoxide into the air and away from the people who breathe it. There are SO many models of electric grills; it would be a waste of space to go over them here. You can find reviews throughout this website. Just make sure that you read your user manual, and read more articles like these to expand your knowledge. Grilling and barbecuing can make for awesome culinary adventures!